You’ve heard of spinach. And at this point we’re all aware that kale is going to make us immortal. But there’s a whole world of leafy greens out there beyond the usual suspects, and if you’re looking to switch up your salads, one of the less-popular choices might be the perfect option for you! Adding different greens to your vegetable rotation ensures that you constantly have a good supply of calcium and other important nutrients: variety is one of the best ways to make sure your diet is nutritionally sound. So here are 10 tasty (and extremely nutritious) leafy greens you might be walking past every time you go grocery shopping, without even realizing what you’re missing. These are turnip greens. Mustard greens look very similar. How to find them: Turnip greens are large (a bunch is typically around the size of a bunch of kale) and bright green. They’ll be either attached to the turnips, or sold in big bunches with the collards and other cooking greens. Taste: like a very, very mild version of turnips; it’s really just a hint of turnip flavor. They’re great if you think the turnips themselves are a little too strong. Turnip greens bought at a farmers’ market tend to have a sharper flavor than greens bought at the grocery store, which are more watery. Cooking tips: turnip greens are best cooked; stir-fry or sauté them in fat. Cook them just until they turn a brighter green; this removes any bitterness without making them bland and mushy. Recipe inspiration: Stir-fried turnip greens. 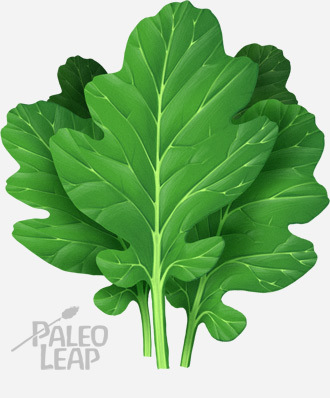 How to find them: Mustard greens are bright and bushy (a bunch is about as tall as your forearm from elbow to hand). They should be with the collards and other cooking greens. Taste: a little spicier and more assertive than lettuce. Cooking tips: quickly pan-fry them with your favorite fat. Like turnip greens, mustard greens should be cooked just until they brighten up. Recipe inspiration: Sarson ka Saag. How to find them: walk out into your backyard and pick some, or check in the leafy greens section of the supermarket. Taste: they’re pretty bitter raw (although perfectly safe to eat, and great in a salad mix where you can balance out the bitterness with a milder leaf). If you’re not a fan of the sharp taste, cooking them tones it down a lot. Cooking tips: Dandelion greens are definitely candidates for boiling or another more demanding cooking method, depending on how much bitterness you like in your leaves. Recipe inspiration: Eggs in a nest. How to find it: check the bagged or boxed salad mixes. Taste: Mesclun varies in taste from one batch to the next, because it’s not a specific plant. Instead, it’s the name for a mix of young salad greens, typically including some new and exciting candidates like radicchio, oak leaf, and mizuma. As a rule, the taste will be more assertive than a pile of romaine or iceberg, but it might be slightly bitter, peppery, sharp, or bright – or all of the above! Cooking tips: Don’t cook mesclun; it’s best used as a salad mix. Recipe inspiration: Duck confit with fried potatoes, mushrooms, and mesclun. How to find it: arugula will be with the lettuce and the other salad greens. It looks a little like dandelion leaves. Taste: arugula is typically described as “peppery:” this is definitely a green that knows its own mind! It’s sharp, and even a little stingy. Cooking tips: arugula goes really well in omelets or paired with something else that’s rich and creamy, to balance out the sharpness. In a salad, it’s best as one leaf in a mix, not as the only green involved. Recipe inspiration: Arugula salad with beets. How to find them: either attached to a bunch of beets, or on their own with the cooking greens. 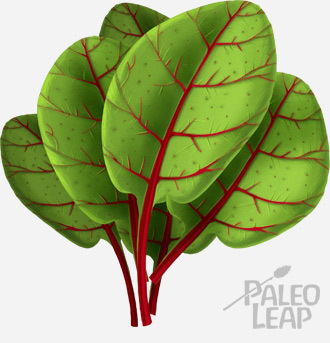 Beet greens have dark red-purple stems and deep green leaves. Taste: beet greens taste a lot like Swiss chard, if you can imagine Swiss chard with a slightly beety twist. They have a rich, full, and almost sweet flavor. Cooking tips: use them any time you would otherwise use chard: they’re particularly good pan-fried with a pinch of salt and some onions for crunch. Be aware that beet greens will turn everything else in the pan pink, just like beetroots would. Recipe inspiration: Roasted beets and carrots with grapefruit glaze. How to find it: this one’s easy: kohlrabi looks like Sputnik, if Sputnik decided to go organic. The bottom is a big globe, with leafy offshoots sprouting up from it. Look for it with the other green vegetables. Taste: kohlrabi tastes very similar to broccoli; it has the same hardy, rooty taste when it’s raw, and the same mild sweetness when it’s cooked (especially if you roast it). Cooking tips: Roast or bake kohlrabi to bring out its milder side. Recipe inspiration: Beet and kohlrabi greens chips. How to find it: Curly endive, also called frisee, should be with the salad greens. It’s white at the roots and medium-green at the tips, and looks distinctly frizzy. Taste: sharp, with a crunchy, feathery texture. Cooking tips: frisee is a love-it-or-hate-it green; it goes well as a counterpoint for sweeter toppings (like apples and raisins) or rich and savory choices like bacon. Recipe inspiration: Orange endive salad. How to find it: this is the lumpy, white plant you’ll see stocked with the radishes and turnips. Despite the similar name, it’s actually a different species from endive. Taste: Slightly bitter, and often described as “tangy.” The versions with the red-purple tips and green-yellow tips both taste about the same. Cooking tips: Belgian endive is great raw as a “scoop” for dips or appetizers, but it’s also good braised low and slow to reduce any bitterness and mellow out the taste. Recipe inspiration: Caraway chicken with Belgian endive. How to find it: watercress has small, round leaves: a bunch of watercress looks like a bunch of very tiny water lilies. Look with the baby salad greens or fresh herbs. Taste: Watercress, like arugula, is sharp and assertive; it mellows out a lot when it’s cooked. 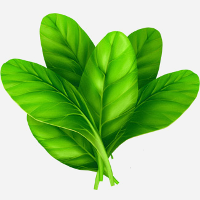 Cooking tips: Watercress is great for adding a bit more punch to soups and other milder foods that could otherwise be boring. Recipe inspiration: Warm watercress and pine nut salad. What’s your favorite less-common leafy green? Let us know on Facebook or Google+!